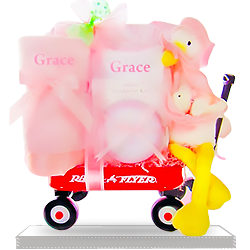 Goodies for the Baby Girl Plush Stork It's a Girl! 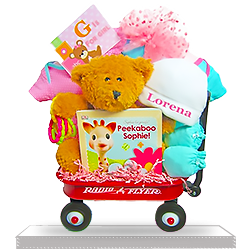 A miracle just happened! 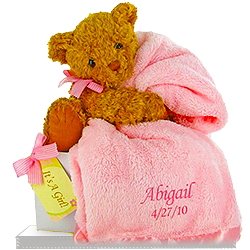 A baby was born, and the baby is a girl! 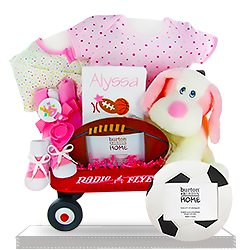 Wouldn’t it be great to welcome that baby girl and send her and her parents one of our beautifully packaged gift baskets for girls? 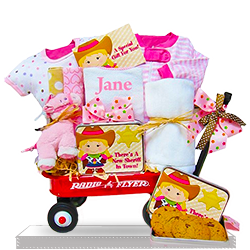 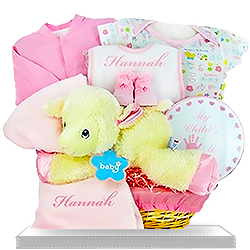 Choose her one of our pink gift baskets with multiple gifts, such as toys and clothing, blankets and bibs, and personalize your gift! 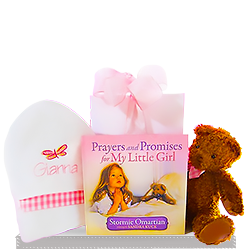 A heartfelt message with the best wishes and kind words will be one thing the parents and their baby girl will always remember about you. 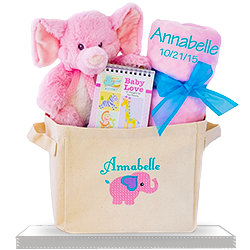 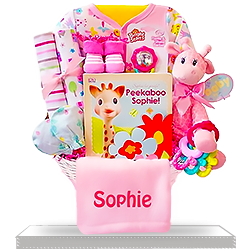 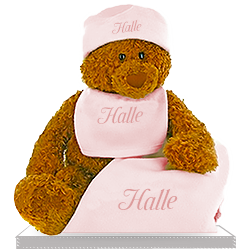 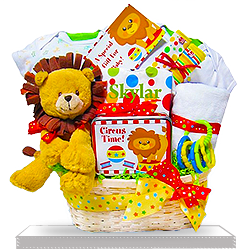 Personalized gift baskets for girls is a perfect choice when you’d like to welcome a baby girl and share your friends’ happiness about their new bundle of joy. 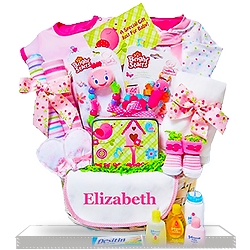 Contact us if you have any questions about personalization, and we’ll be happy to help.